At Revolution, we partner with companies disrupting legacy industries to provide better alternatives to consumers. We particularly like the intersection of stodgy businesses and talented entrepreneurs with inventive ways of improving those businesses. And it’s hard to imagine a stodgier business than the insurance industry. We are thrilled to announce the newest addition to our portfolio: PolicyGenius, a direct-to-consumer insurance platform. It is our biggest initial investment to date and we’re excited to be leading the company’s Series B round. The vision for PolicyGenius and sheer size of the market it is attacking made it a particularly compelling opportunity and one that aligns with our focus at Revolution. Just think about the market – the U.S. is the world’s largest insurance market with over $1 trillion in net premiums written annually, yet it’s old and inefficient. The average age of an insurance agent is 59 (most of whom will be retiring in the coming years), there are over 18 million “stuck shoppers” in life insurance alone (people who want to purchase but have been derailed in the shopping process), and there is an average of three duplicate processes per customer sale. We see a huge opportunity to bring this largely offline, arduous process online with smart analysis, purchase support, and policy management. PolicyGenius has built an informative and intuitive platform, providing best-in-class educational content, powerful quoting engines, streamlined application tools, and policy management dashboards to help consumers find and purchase the coverage they need,. In doing so, PolicyGenius brings the difficult insurance process online and takes the pain millions of Americans face out of the insurance discovery and purchase process. And it’s really constructive: answering a few questions on the website’s “Insurance Check-Up” helps an individual figure out what kind of coverage is needed and, importantly, what is not needed. Today, the company can guide a shopper through the complexities and nuances of life, long-term disability, renters, and pet insurance, with more categories on the way. The company was founded by Jennifer Fitzgerald and Francois de Lame, two former McKinsey consultants who saw the issues the insurance industry is plagued with first-hand after years of working in the firm’s insurance practice. As they struggled to buy their own insurance policies outside of the office, they knew it was time to start PolicyGenius. The two have since merged their deep industry knowledge with smart technology to build a company that solves many of the problems insurance faces today, but also aligns with a complicated regulatory landscape and legacy industry structure. And they’ve proven the model works. The economics of insurance are tied to multiple layers of middlemen, who eat up margin, but also create an opportunity to grow a sustainable business by disrupting those layers with online channels. Over a short period of time, the company has advised and insured users from every type of demographic segment and increased its user base by over 30% each month. We led the $15 million Series B financing with the participation of investors from previous rounds, including Karlin Ventures, Susa Ventures, and strategic backers AXA Strategic Ventures, MassMutual, and Transamerica Ventures. PolicyGenius will use the proceeds to expand the company’s product lines and accelerate growth – and we couldn’t be more excited to partner with them to do so. Clara is a Partner and founding member at Revolution Ventures. 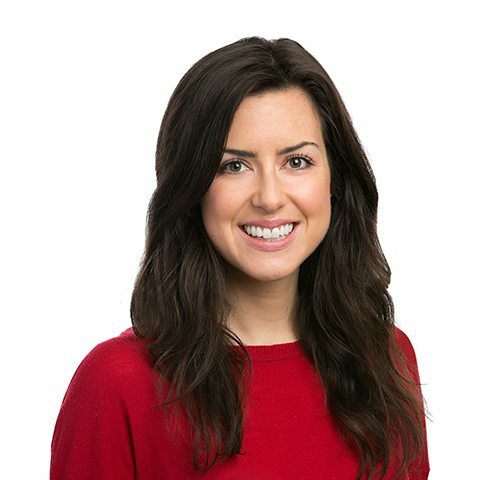 She began working with Revolution in 2010 and joined full-time as a member of the investment team in 2012, when she helped open Revolution’s San Francisco office.